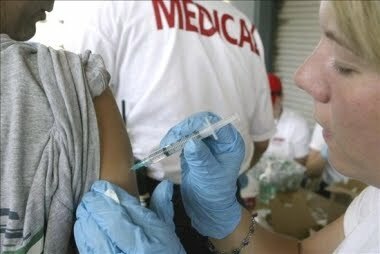 More than 100 million doses of the Cuban vaccine against hepatitis B, developed in 1992, have been distributed in 35 countries across the world. Biomedical Research Director of the Genetic and Biotechnology Engineering Center, Gerardo Guillen Nieto confirmed to ACN that this condition is no longer regarded as a health problem in Cuba and noted that the vaccine continues to generate positive results. Speaking at the Havana 2012 Biotechnology Congress, Guillen Nieto said more than one third of the Cuban people have become immune to Hepatitis B, meaning all Cubans younger 30 years old have received the shot. The scientist said that for nearly a decade there has not been any cases of acute hepatitis in children under 15, and that for three years the condition has not been reported at all in minors under 5. The Hepatitis B virus attacks mostly the liver cells; the disease can become chronic and can develop into cirrhosis or even cancer of the liver. With around 600 delegates from 41 countries in attendance, Cuban specialists will present at the Congress the results of the use of pegylated interferon, a medication currently used for the treatment of Hepatitis C that has been registered in Cuba and is currently been expanded to the whole country. Studies on a nasal spray vaccine against chronic Hepatitis B, which has yielded encouraging results, will also be presented to delegates. The vaccine is on the third stage of clinical trials.